Poultry is the largest income-producing agricultural commodity in Mississippi and has been for the past 22 years. Mississippi ranks number 5 in the United States in poultry production, with more than 1,400 family-owned poultry farms producing over $2.8 billion in production value in 2016 (Tabler and Wells, 2017). In addition, the poultry industry and its employees paid over $912 million in federal taxes and $481 million in state and local taxes in 2016. The poultry industry contributes significantly to the state’s economy as a whole. In 2016, the poultry industry was responsible for as much as $18.36 billion in total economic activity throughout Mississippi, creating or supporting as many as 72,153 total jobs (Dunham and Associates, 2016). The economic impact flows throughout the entire state’s economy. This generates business for many firms that may seem unrelated to the poultry industry but play a vital role in the industry’s success. Individuals working in areas such as banking, real estate, accounting, transportation, and printing all depend on the poultry industry for their livelihood. Therefore, it is important that agricultural zoning ordinances be carefully devised and based on fact and not emotion (Figure 1). Figure 1. Agricultural zoning ordinances should be based on facts and not emotions for the protection of farmers and their nonfarm neighbors. One of the most important aspects of a zoning ordinance for poultry farms relates to the setback distance required for the location of poultry production houses. Excessive setback distances from property lines and non-owned dwellings severely restrict or totally prohibit the construction of poultry houses because of the large tracts of land necessary for compliance. (In this case, “non-owned” means not owned by the individual wishing to build the poultry houses. This could include private residences, churches, schools, etc.). As a result, opponents of poultry production will often argue for the most restrictive setback distances possible to hinder or shut down poultry production in an area. These individuals will often use unfounded or false accusations concerning air quality, health, odor, environmental, and quality-of-life issues to advance their position (Cunningham, 2006). Individuals opposed to poultry farming often use the argument that environmental pollution is a major problem associated with modern-day poultry farming. However, a properly managed poultry farm is not a threat to the environment and does not cause pollution or environmental concerns, for either its neighbors or the local community at large. On the contrary, poultry farms produce manure nutrients as a by-product of raising birds that can provide a valuable natural fertilizer and organic soil amendment for pastures, hayfields, and row-crop land. Depending on soil test results, this natural fertilizer can be land applied at the appropriate agronomic rate instead of using more expensive commercial fertilizer. Care should be taken, however, because the nutrients in poultry litter have the potential, just as with any fertilizer source, for runoff and water pollution problems if not handled properly. Many individuals unfamiliar with modern poultry farming practices often think that it is impossible to live near a poultry farm because of the smell. This simply is not the case. The vast majority of poultry farms are family-owned operations, and, for the most part, the families that own and operate the poultry houses live next to the houses. Because of ongoing advancements in ventilation and drinking systems and training programs that help growers understand the importance of maintaining dry litter, there is minimal odor emitted from properly managed and operated poultry houses today. Wet litter may occur on occasion and can be a source of odor. However, wet litter can be corrected with proper management and is often a short-term situation. Air emissions and odor concerns (especially ammonia) are important issues today for the poultry industry from both environmental and nuisance points of view. It is important to understand how ammonia dissipates from poultry houses. In the poultry industry today, poultry houses are built with tunnel ventilation systems, which place cool cells at one end of the house and tunnel exhaust fans at the other, concentrating the discharged air all at one end. Some people have the false perception that this causes issues for people living near the poultry houses. However, exhausted air from tunnel fans only results in measurable air movement within about 100 feet from the poultry house (Cunningham and Ritz, 2015). The Mississippi Department of Environmental Quality (MDEQ) currently has setback distances in place for siting poultry houses that help maintain the success of family-owned poultry farms, help ensure a stable and consistent tax base for communities where the commercial poultry industry operates, and provide protection for all citizens (farmers and nonfarmers). Current MDEQ setback distances for dry litter poultry operations are 150 feet from the nearest adjoining property line and 600 feet from the nearest non-owned occupied dwelling or commercial establishment. MDEQ also has setbacks in place for land application of litter material. Land application of dry poultry litter waste must be at least 25 feet from the nearest adjoining property line and at least 150 feet from the nearest non-owned occupied dwelling. Table 1 lists the setback distances of several other commercial poultry-producing states. Table 1. Setback distances for Mississippi and nearby states with commercial poultry industries. Ammonia concentrations were 1 ppm or less for approximately 85, 90, and 95 percent of the measurements made at 200, 300, and 500 feet downstream from poultry houses, respectively. Ammonia concentrations were lower as distance from the poultry houses increased, with ammonia levels at 100, 200, 300, and 500 feet being less than 1 ppm in approximately 60, 75, 85, and 90 percent of the observations, respectively. Ammonia concentrations extending to 100 feet from the houses were influenced by the tunnel ventilation fans. At no time did measured ammonia levels meet or exceed established Occupational Safety and Health Administration-U.S. Environmental Protection Agency ammonia odor-detection threshold values of between 5 and 50 ppm. The greater the setback distance adopted, the more acreage is required to site poultry houses. Recently, Cunningham and Ritz (2015) calculated setback distances and acreage requirements to site a four-house poultry farm. Their calculations indicate that a 200-foot setback from property lines requires a minimum of 14 acres to site four poultry houses, if the land is a perfect rectangle. Increasing the setback to 400 feet increases the requirement to a minimum of 30 acres. A 1,000-foot setback would require at least 130 acres. Since few plots of land are a perfect square or rectangle and most are irregular in shape, property boundaries and topography often result in additional acreage. Cunningham and Ritz (2015) reported that, in reality, a 200-foot setback may require at least 30 to 40 acres to meet site requirements for an average four-house poultry operation. A 1,000-foot setback could realistically require several hundred acres to site four poultry houses on many tracts of land because of irregular property lines and topography of the landscape (Figure 2). Therefore, a 1,000-foot setback requirement would essentially eliminate large numbers of small family farms in Mississippi from participating in poultry farming because many small farmers may own 40 acres or less, and not the hundreds of acres of land that a 1,000-foot setback may require. Figure 2. Excessive setback distances could require poultry farmers to own hundreds of acres of land to site poultry houses. For many years, poultry farming has offered hundreds of small farmers in Mississippi the opportunity to be a part of an agricultural enterprise that is valuable to both the family farm and the state. This has been possible, in part, because zoning ordinances have not been overly restrictive on small farmers interested in becoming poultry growers. Setback distances established by MDEQ have, in part, allowed small poultry farmers to make poultry production the number-one agricultural commodity in Mississippi for 22 straight years. At the same time, setback distances currently in place have provided nonfarm citizens with reasonable protection and separation from everyday farming activities. In some areas, vegetative buffers can be used to reduce the setback distance that a poultry farm must have (Scott Jr., 2017). Vegetative buffers consist of multiple-row plantings of suitable trees, grasses, and shrubs planted around poultry houses and related structures such as manure sheds and composting structures. These buffers are usually placed between the farm and neighbors or roadways and, in addition to reducing the visibility of the farm, they are helpful in capturing dust and feathers expelled by the exhaust fans. Additionally, they can also help to capture nutrients and prevent them from causing problems in local waterways. Air quality, odor, flies, litter management, and mortality disposal are all areas addressed by various state agencies to protect human health, the environment, and the quality of life of residents in the vicinity of existing and future poultry operations in Mississippi. Setback distances established by MDEQ protect both poultry farmers and their nonfarm neighbors. MDEQ and Mississippi Board of Animal Health personnel monitor poultry farms for compliance with nutrient management plans, dry litter permits, composter/incinerator mortality permits, and compliance/enforcement issues. 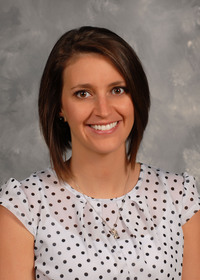 The Mississippi State University Extension Service and Poultry Science Department work with poultry companies and their growers to provide the most recent research information available and to supply personnel and expertise to ensure companies and growers have the assistance needed to take advantage of this information. Cunningham, D. L. 2006. Nuisance myths and poultry farming. University of Georgia Extension Bulletin 1299. March. Cunningham, D. L., and C. Ritz. 2015. Facts for County Planners: Set-Backs for Poultry Houses. University of Georgia Extension Circular 931. October. Cunningham, D. L., and C. Ritz. 2015. Facts for County Planners: Zoning Issues and Poultry Production. University of Georgia Extension Circular 932. October. Dunham and Associates. 2016. Economic impact of the poultry industry (2016). John Dunham and Associates. October. Fairchild, B. D., M. Czarick, L. A. Harper, J. W. Worley, C. W. Ritz, B. D. Hale, and L. P. Naeher. 2009. Ammonia concentrations downstream of broiler operations. J. Appl. Poult. Res. 18:630-639. Tabler, T., and J. Wells. 2017. Economic impact of Mississippi’s poultry industry.  Mississippi State University Extension Service. Publ. No. 3048. June. By Tom Tabler, Extension Professor, MSU Extension Poultry Science; Jonathan R. Moyle, Extension Poultry Specialist, University of Maryland Extension; F. Dustan Clark, Extension Poultry Heath Veterinarian, University of Arkansas Cooperative Extension Service; Yi Liang, Associate Professor, Biological and Agricultural Engineering Department, University of Arkansas Cooperative Extension Service; and Jessica Wells, MSU Extension Instructor, Poultry Science.